The overriding philosophy of the Golden Hills School athletic program is to offer students an exploratory sports program involving as many students as possible. All participants are encouraged to do their best within the spirit and rules of the games and practices. Good sportsmanship, playing for fun, teamwork, and respect for oneself and others will be emphasized throughout each sport. "Play with heart. Win with class. Lose with dignity." 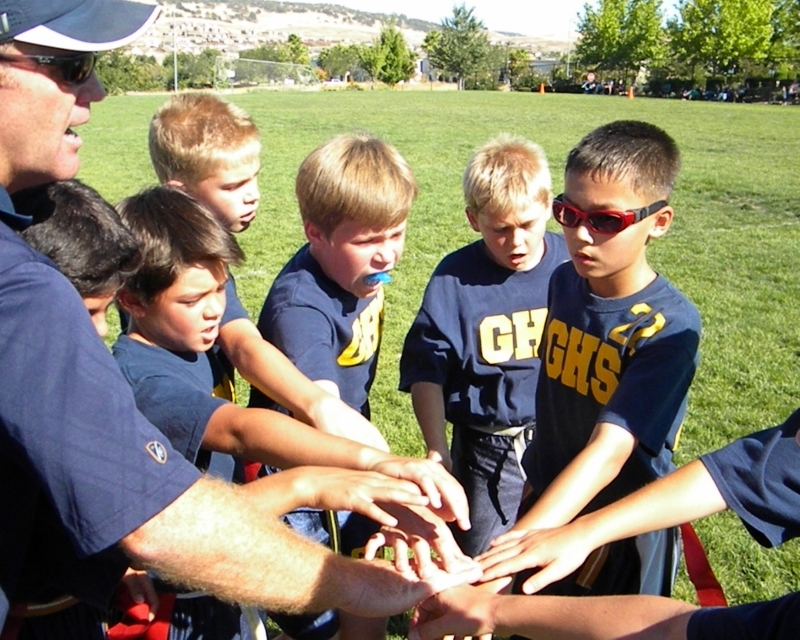 GHS is competitive in the El Dorado Sports League, a local organization of similar-sized private and public schools. GHS allows any student who wishes to participate in an athlectics program to join a team. In fact, as a smaller school, participation is especially encouraged and some amount of playing time is likely. Each school year, students interested in participating in GHS sports must have their physician complete a GHS Athletic Program Participation & Medical Treatment Information form. This form is part of the GHS Athletics Registration & Physical form and only needs to be completed once each academic year. The Athletics Registration & Physical Forms can be found in the Parents section on the Information Bar above under Forms. A student must also complete the GHS Athletics Registration form for each sport in which s/he will participate. Good teams become great ones when the members trust each other enough to surrender the "me" for the "we." All students grades 4th-8th are eligible to particpate. Practices are generally 2-3 times a week falling on Tuesday, Wednesday, or Thursday at the school campus. Cross Country is a fall sport during the months of August to Mid-October. All interested sudents in grades 2nd - 8th are eligible to partcipate. Practices are generally two to three times a week falling on Tuesday, Wednesday, and Thursday at the school campus from 3:15-4:30PM. Standard athletic fee of $75 applies. The Golden Hills School Cross-Country team has been very sucessful the last three season with multiple top 5-10 finishers during regular season meets and mutiple top 15 finishers at the League Finals. "Football is like life... it requires perserverance, self-denial, hard work, sacrifice, dedication, and respect for authority"
Flag Football is a fall sport during the months of August through mid-October. All interested students in grades 6th-8th are eligible to participate. Practices are generally 2-3 times a week falling on Tuesday, Wednesday, or Thursday on the school campus. Student athletic fee of $75 applies. Golf is a late spring sport during the months of April and May. All interested students in grades 3rd through 8th are eligible to participate. Practice is generally two to three times a week falling on Tuesday, Wednesdays, and Thursdays. "We all have dreams. But in order to make dreams come into reality, it takes an aweful lot of determination, dedication, self-discpline, and effort." Track is a late spring sport during the months of April and May. All interested students in grades 6th through 8th are eligible to participate. Practice generally occurs two to three times a week generally falling on Tuesday, Wednesday, or Thursday. Multiple medal winners the 2012-2014 seasons. Both the Varsity and JV Hawks girls voleyball teams won their season finales over local rival Marble Valley and Miller's Hill respectively.. The Varsity girls completed a rare 6-0 undefeated season in the tough El Dorado County League. Congratulations to the girls and coaches Emad, Dennis and Vince. Go Hawks ! "I would like to instill in people just to work hard. As long as they keep at it their dreams will happen." 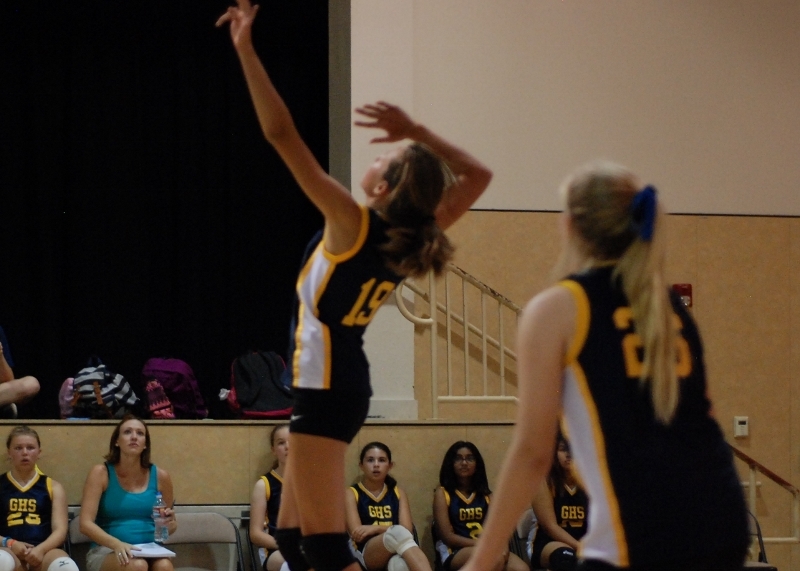 Volleyball is a fall sport occuring in the months of August through Mid-October. Practices are generally two to three times a week falling on Tuesday, Wednesday, or Thursday at the school campus. 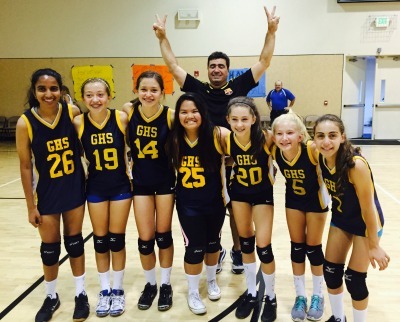 The Golden Hills School Volleyball Team has had some successful recent seasons finishing 2nd in the League Tournament in 2011 & 2012. "There's always ways of motivating yourself to higher levels. Write about it, dream about it. But after that, turn it into action. Don't just dream."